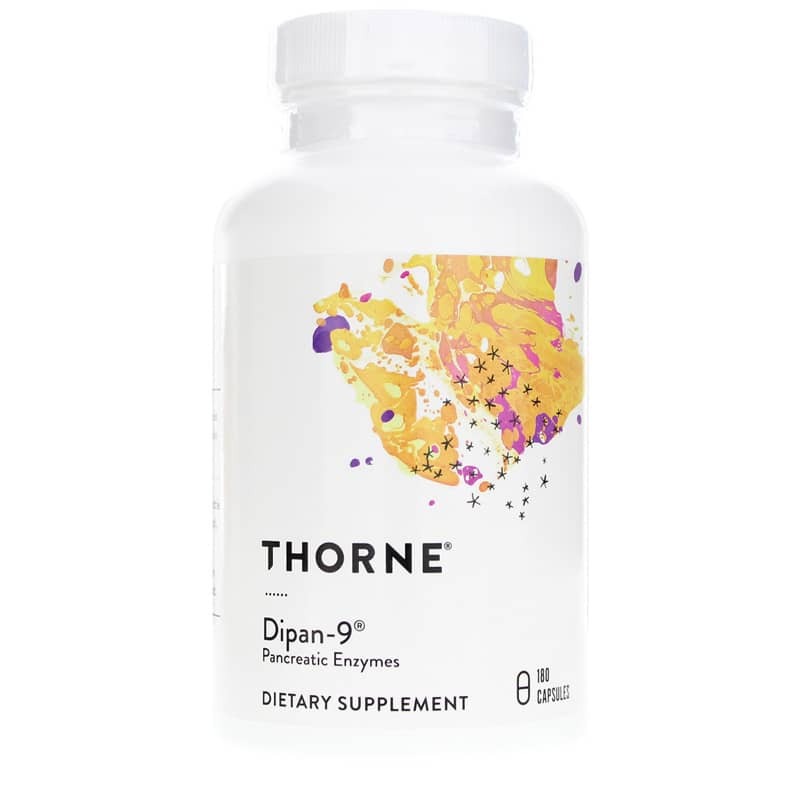 Dipan-9 by Thorne Research is a high-potency, lactose-free pancreatic enzyme supplement containing only pure pancreatin for optimal digestive support. 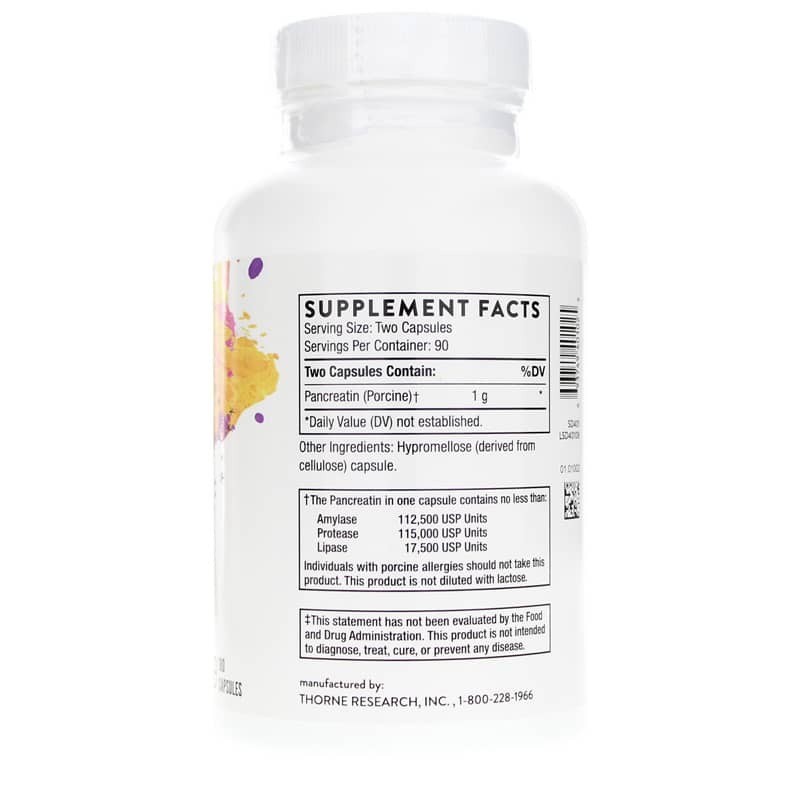 Complete and comfortable digestion requires a full spectrum of digestive enzymes. The body's natural enzyme production may be reduced over time as we age or as a result of illness, stress or surgeries. Pancreatin, produced by the pancreas, contains amylase, lipase and protease, which digest carbohydrates, fats and proteins, respectively. Many pancreatin supplements are diluted with lactose, which can be problematic for people with lactose allergies. Dipan-9 contains no lactose, only pure, undiluted pancreatin, to help support healthy digestion. Contains NO: wheat, gluten, corn, yeast, soy, egg, dairy products, or artificial colors, sweeteners, or flavors. This product also does not contain lactose, palmitic acid, or magnesium, calcium, or vegetable stearates. To be used as a dietary enzyme supplement to support normal, healthy digestion and help relieve occasional symptoms of indigestion. 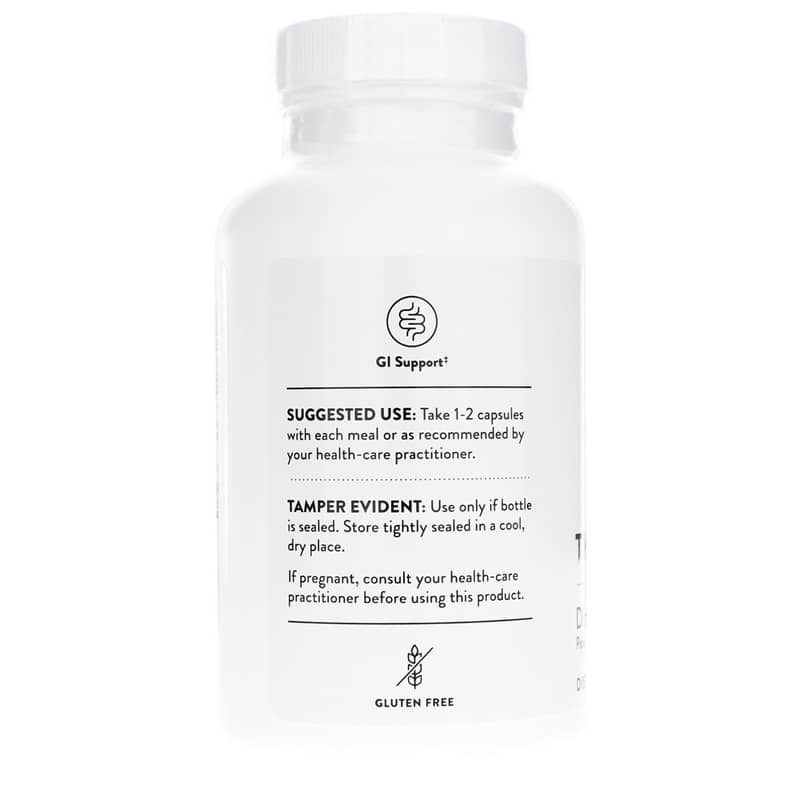 Adults: Take 1-2 capsules with each meal, or as directed by your healthcare practitioner. Individuals with porcine allergies should not take this product. A patient who is pregnant or nursing, or who might become pregnant, should not use this product unless otherwise directed to do so by a healthcare practitioner. Thorne's Dipan-9 is truly high potency and effective. Best digestive enzyme I've used and I've tried many! Taking Dipan-9 has made a huge difference in my life! They work like no other has for me. Best digestive support I've tried! I've been using this digestive aid for 8 years. Highly recommended as a reliable and effective product.